Are incoming calls considered part of the 3000 minutes limit? dvsrikanth wrote: Are incoming calls considered part of the 3000 minutes limit? It seems I've read that the limit isn't really enforced unless it becomes a frequent occurence, like using Ooma for a call center. Hopefully an employee can elaborate. That's not what I was told when I called customer service to ask that question. I was told that it includes all minutes counted... incoming, outgoing, toll-free, and even calls to another ooma user. According the rep, multi-ring (forwarding) doesn't count towards the 3000 if you answer using a non-ooma line. It's 3000 minutes/mo for outgoing, there is no limit for incoming calls. I'll make sure to reiterate this to the support team. The T&C's were recently updated to: "3,000 minutes for outbound calling per month"). Thanks for bringing up the distinction between outgoing and incoming calls - we'll update the FAQ and terms of conditions to read "3,000 minutes for outbound calling per month" We incur little cost on incoming calls (other than server resource utilization). The content update should be live by next week in the next content drop. Pozee I saw your note about calling statistics for an average household. As I mentioned in a previous post, there are literally a couple handfuls of ooma users that are going over the 3000 minutes for outgoing calling on a consistent basis. Besides a few outliers, all ooma users (many with second lines, multiple phone numbers, multiple personal devices and 4+ people in their household) don't place more than 3000 minutes worth of outgoing calls. Again, the main purpose of the 3000 minute note in the terms and conditions is to discourage using ooma for telemarketing purposes AND NOT to encourage worry about going over the limit for home users. If you're using it for residential usage or as a complement to a home office, feel free to talk all you want. 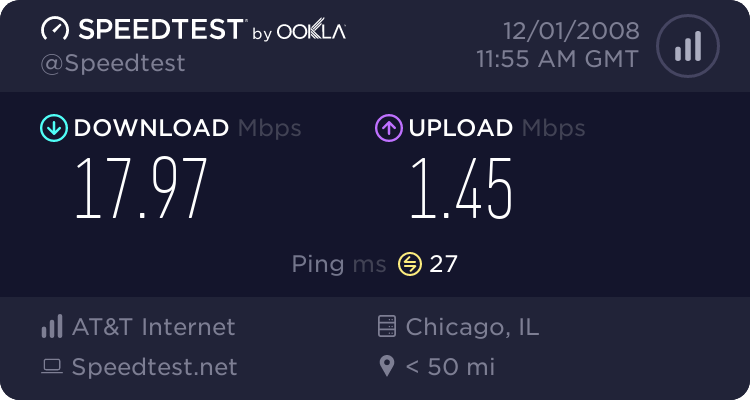 I subscibed to OOMA less than a week ago and I am very happy with the service. I didn't know about the 3000 minute limit till today. My family uses way over 3000 minutes every month. I sometimes dial in for my meetings from home which last for over 3 hours. Does the 3000 minutes include toll-free numbers as well? I just talked to the customer support today and the rep told me that the 3000 minutes limit is for residential users also. Once I cross 3000 minutes, I will be charged at 2.9c per minute. Also there is no way to check how many minutes I used. As Bobby mentions in the previous post that Residential users need not worry about crossing the 3000 minutes, that sounds good. But if I see a charge on my credit card for crossing 3000 minutes, who do I take this to? This has been residential use for me... as I am not running a business. Even with out my 3 hour calls (which are normally toll free) few times a month, I might exceed the 3000 minutes limit. I am happy that someone pointed out my use as Business use even though it is not. This same thing might happen when I get charged one fine day and OOMA says that I am using it to run a business. well, I think they look for abusers by how many actual calls you make; that is, if you are running a telemarketing business, and make 10000 calls a month, that would be suspicious.. But, since your call times are the issue, not the volume of calls, there may not be an issue.. I'm sure you'll get a response from someone from ooma here shortly! If you're primarily using it for residential usage and occasional work toll-free conference calls, then I wouldn't worry about going over 3000 outgoing minutes. Mainly the 3000 minute clause was added to deter telemarketing/commercial entities from purchasing and using the product. Also, while we've never charged any commercial user that has gone over 3000 minutes, the customer support rep was incorrect, it should be 1.9 cents/min, not 2.9 cents/min. vbvamsi wrote: I subscibed to OOMA less than a week ago and I am very happy with the service. I didn't know about the 3000 minute limit till today. My family uses way over 3000 minutes every month. I sometimes dial in for my meetings from home which last for over 3 hours. Does the 3000 minutes include toll-free numbers as well?